If you are exhausted of designing blueprints of traps that would finally rid your attic of those pesky little rodents, then we are here to relieve you of your pain with our custom made service package! 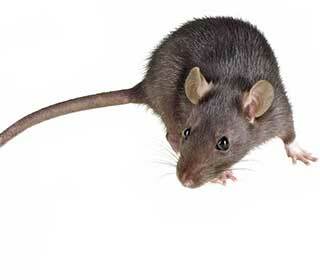 We at Attic Cleaning Los Angeles never underestimate the agile nature or the cleverness of these rodents and that is why we consider ourselves to be their arch nemesis. Getting rid of rodents is only a temporary solution, and that is why we start with locating the entry points and then seal off the entire house. It is no secret that rodents have the infamous ability to contort their bodies, which allows them to enter tight spaces. This way they enter from the attic or from leaks in the perimeter of the house. It would be tough for the common layman to figure out the twisting, bending, hidden entry-points of these vermin. If you feel that your attic is being nibbled at by rodents and you want to keep these disease-carriers away from your family and your expensive electrical system, permanently, read on to learn the steps that we follow for rodent proofing. We begin the grand procedure of banning rodents from your house as we stop all the access points. While sealing off the attic, we take care of the mold and the mildew (if there’s any) and also remove the possibilities of a future buildup. Rest assured that our work will not compromise the natural ventilation in the attic. We take pride in our expertise in removing and installing cellulose insulation – this expertise is a result of the hundreds and thousands of successful rodent-proof attics we have created. Once we are done with the insulation and the rodents, you'll have nothing to worry about! With our top-notch attic insulation services, your attic becomes rodent-proof!